Lung cancer. 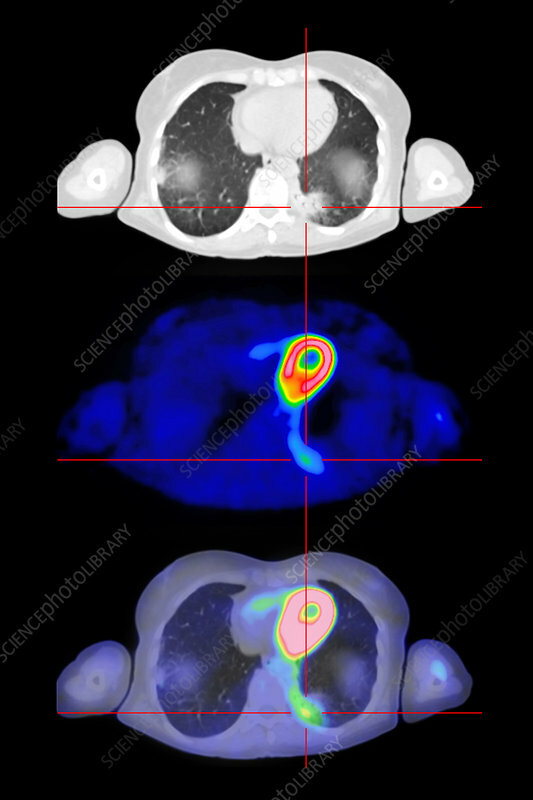 Coloured combined positron emission tomography (PET) and computed tomography (CT) scans of sections through the chest of a 67-year-old female patient with MALT lymphoma (highlighted) affecting the left lung. MALT lymphoma (MALToma) is a form of lymphoma (cancerous blood cell tumour) involving the mucosa-associated lymphoid tissue (MALT). It can affect any MALT site.